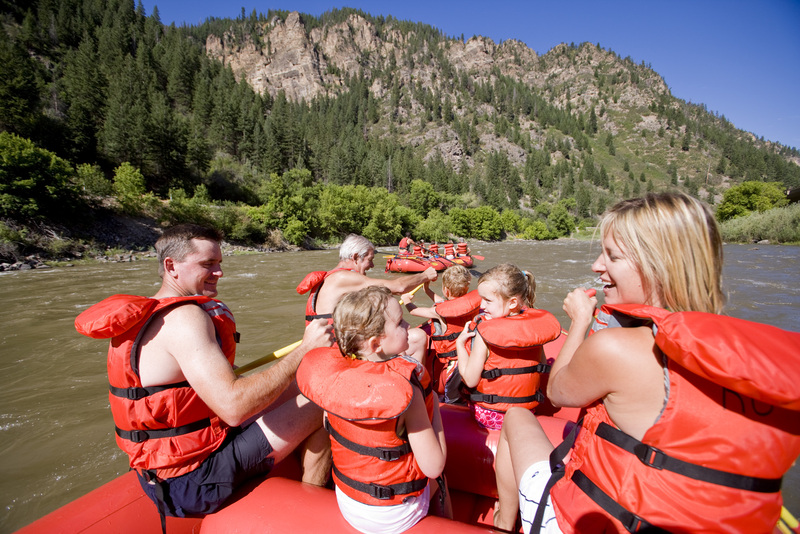 There’s so much going on in Glenwood Springs, Colorado this summer. For one, Glenwood Springs is celebrating a very big birthday – 125 Years – and plenty of activities and events will be themed around the special occasion. The town also has new attractions and lodging venues that summer visitors will want to know all about. Summer 2010 in Glenwood Springs, Colorado, can be summed up in one word – Historic. Celebrating its 125th anniversary, a lineup of fun events is centered on the town’s lively history. These include free, outdoor vaudeville-style shows and character portrayals of famous residents like Doc Holliday and Kid Curry. The historic theme will also feature prominently in the always anticipated Strawberry Days celebration June18 - 20. The community will continue the celebration with a picnic on the 4th of July, featuring old-fashioned games like wheelbarrow and three-legged races, live music, fireworks, and hamburgers and hot dogs for only $1.25 per person. Adding to Glenwood’s rich historic traditions, there are several new businesses including Glenwood Canyon Zipline Adventures, the newly landscaped Glenwood Whitewater Park, and two new Marriott hotels to name a few of the highlights. “We only celebrate our quasquicentennial (125th birthday) once, and we’ve got big plans to make it special. It just so happens that this year many of our tourism partners are also adding their unique stamp to Glenwood’s festivities,” said Lindsey Lewis, Interim Vice President of Tourism Marketing for the Glenwood Springs Chamber Resort Association. History comes alive on the streets in downtown Glenwood Springs. The renowned Glenwood Vaudeville Revue will keep crowds in stitches with their old-time acts featuring the silly and melodramatic. 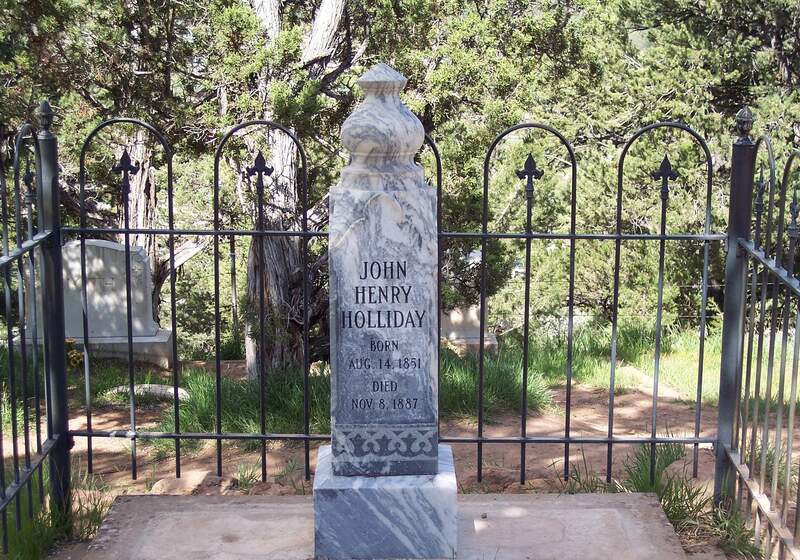 Also stepping out of the past will be beloved town characters, Doc Holliday and Kid Curry who will educate, entertain and interact with audiences. Both of these events will take place at the specially constructed stage on the pedestrian mall near the historic train depot on Seventh Street on weekends beginning in June and run through the duration of the summer. Shows will last 20 – 30 minutes with the portrayalists beginning at 4:30PM the vaudeville shows at 5:30 PM. 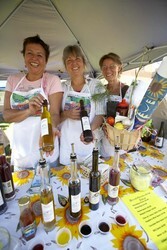 For a complete schedule of events see http://www.visitglenwood.com/annual-events. Adding to Glenwood Springs’ adventure mystique are several thrill-oriented outlets. Glenwood Canyon Zipline Adventures in No Name, just 1-1/2 miles from town, is the new sister company of Rock Gardens Rafting. A zipline that enables guests to traverse the Colorado River not once, but twice has been a huge draw since it opened in May. Add to that the High Ropes Challenge Course, and guests can get ready for unforgettable adrenaline-pumping excitement. Find out more at http://www.visitglenwood.com/zipline-adventures. The always popular Glenwood Caverns Adventure Park recently rolled out its newest high-flying ride – the Giant Canyon Swing. 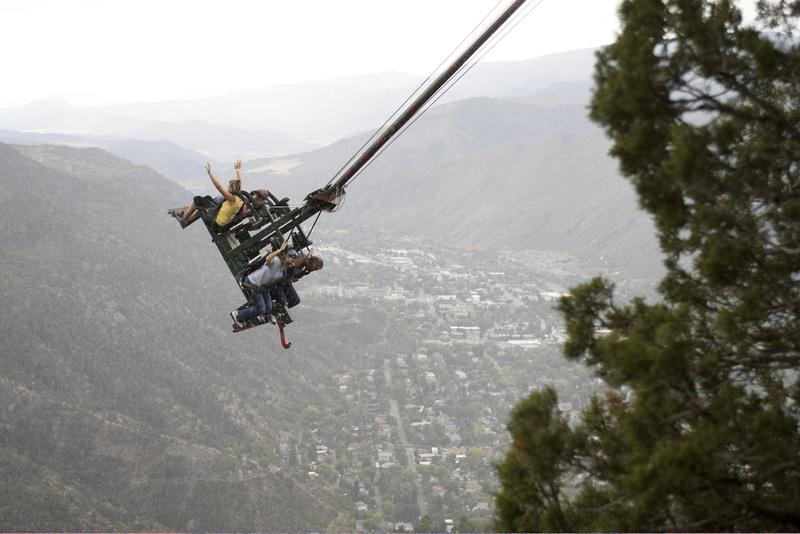 Catch big air on this ride that launches riders out over Glenwood Canyon, 1,300 feet above the Colorado River, at nearly 50 miles per hour! See http://www.visitglenwood.com/glenwood-caverns-adventure-park-and-fairy-caves for details. For those who prefer to immerse themselves adventure, the Glenwood Whitewater Park is a must do. The acclaimed park has been the site of several world kayaking championships and will host the 2010 Whitewater Stand Up Paddle (SUP) Championships on Memorial Day, May 31. The state-of-the-art wave attracts kayaking and surfing enthusiasts from around the country and a newly landscaped and terraced spectator area is the ideal spot to view and cheer on these athletes. 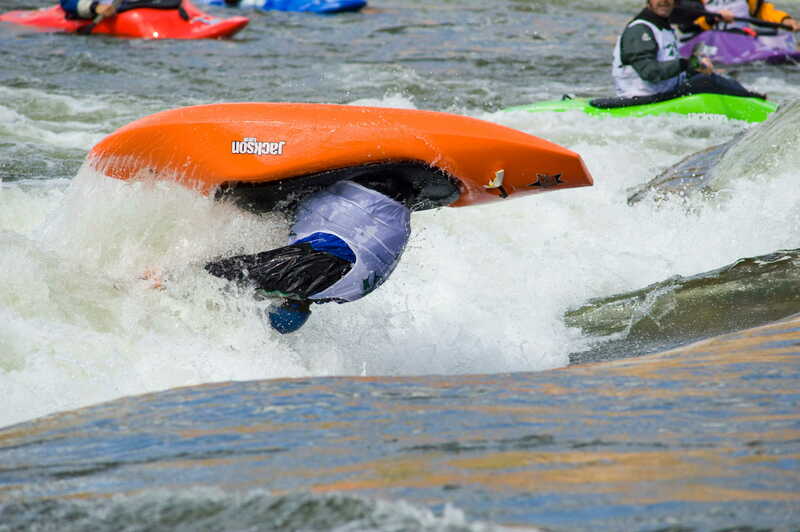 See http://www.visitglenwood.com/whitewater-park for all the details. With all these great events and activities, visitors need to get some quality R&R. Adding vitality to the slumber scene are two new Marriott properties – the Residence Inn by Marriott and the Courtyard by Marriott. Both are ideally situated near the retail and restaurant hub of Glenwood Meadows Shopping Center and popular Glenwood Springs’ attractions like the Hot Springs Pool. The Residence Inn features suites with kitchenettes that make preparing meals convenient and ideal for families and groups. http://www.marriott.com/EGERI The Courtyard’s modern comfortable rooms, S-Bar and Bistro encourage guests to linger and relax. Take a virtual tour at http://www.marriott.com/EGECY. This summer, Glenwood Springs is celebrating its history and making history at the same time with so many new events, activities and venues. Don’t miss any of them. Visit http://www.visitglenwood.com for the lowdown on everything that’s going on. Glenwood Springs is located between Aspen and Vail, 165 miles west of Denver or 90 miles east of Grand Junction on Interstate 70 off exit 116. For more information about Glenwood Springs, Colorado, call 970-945-6589 or go to http://www.visitglenwood.com. For lodging reservations, call 888 4 GLENWOOD (888-445-3696). A complete press kit and press releases are available at http://www.visitglenwood.com/press-kit and http://www.visitglenwood.com/press-releases. Access to downloadable photos is available at http://www.visitglenwood.com/photos. Glenwood Springs is located between Aspen and Vail, 165 miles west of Denver or 90 miles east of Grand Junction on Interstate 70 off exit 116.